Visit the largest gaming floor in Canada. Relax & rejuvenate in a tranquil spa setting. 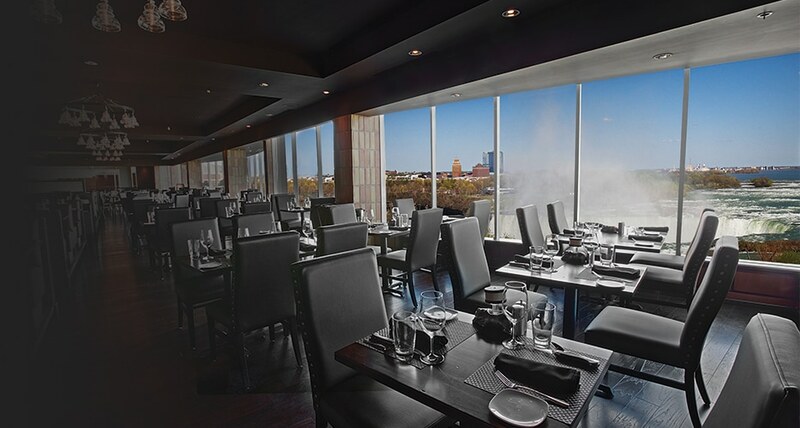 A delicious buffet & sweeping views of the Falls. For captivating and seamless travel experiences in and around Niagara Falls, Magnificent Tours offers personalized private tours and thoughtfully crafted signature tours to connect you with the natural beauty, exceptional entertainment, and premium wineries of the world-famous Niagara Region. 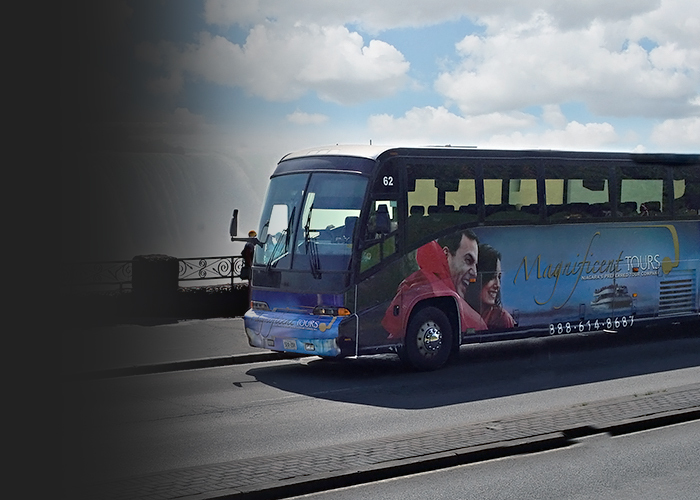 Magnificent Tours is Niagara’s premier tour company and offers year-round tours led by expert guides, VIP access to Niagara’s best attractions, and full transportation by comfortable coach bus. Connect with luxury and comfort in one of our newly renovated guest rooms, which feature sleek modern layouts and sweeping views of Niagara Falls. Each of the redesigned rooms is appointed with Marriott Signature Mattresses & Bedding, new HD flat-screen TVs, beautiful bathrooms, and comfortable sitting areas to provide world-class accommodation experiences in beautiful Niagara Falls. Experience incredible Fallsview dining at Canada's only Morton's Grille restaurant, located inside the Marriott Fallsview Hotel & Spa. With a dining room overlooking the magnificent Niagara Falls and an impressive menu of succulent steaks, fresh seafood, burgers, and more, Morton's Grille Niagara Falls is a one-of-a-kind dining destination offering casual elegance and unrivaled taste. Relax your body and refresh your mind at the Serenity Spa by the Falls inside the Marriott Fallsview Hotel & Spa. The Serenity Spa offers a tranquil place to enjoy rejuvenating treatments and services, including massages, manicures, pedicures, facials, and body treatments. You can treat yourself or someone you love to the gift of luxury and relaxation with signature spa packages, or book individual treatments for a tranquil escape in Niagara. Residents in any one of our luxurious Niagara Falls Hotels 432 Fallsview guest rooms will have the pleasure of an exceptional view overlooking one of nature’s wonders. Wake up to the sight of the falls, and drift to sleep, mesmerised by its beauty. This hotel in Niagara Falls Canada offers a wide-range of amenities, including wireless Internet access, indoor pool, and outdoor sundeck. The fitness centre features a variety of equipment to suit any routine, and our award-winning Serenity Spa by the Falls boasts two whirlpools and a sauna. If you’re in the mood for something delicious, the Morton’s Grille Niagara Falls, located right in our hotel in Niagara Falls, has an array of tasty dishes to tempt any palette. Experience casual elegance, unrivalled taste. Our award-winning menu features a selection that is as highly-acclaimed as the falls itself. The Marriott Fallsview Niagara Falls Hotel has more than 7000 reviews on TripAdvisor. It has a 4.5 star rating out of a maximum of 5 stars and is number one results when searching for Niagara Falls Hotels. 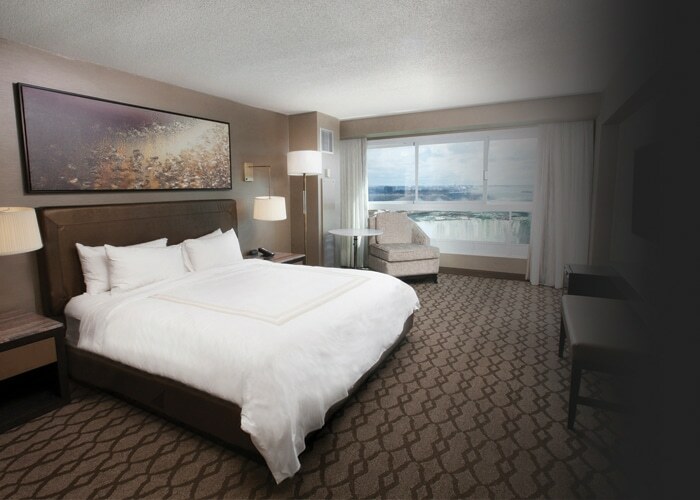 At the Marriott Fallsview Niagara Falls Hotel and Spa, our guests can enjoy luxurious accommodations, fine dining, a state-of-the-art spa and so much more – all enjoyed from the closest of all Niagara Falls hotels to the thundering roar of the world-famous Niagara Falls.